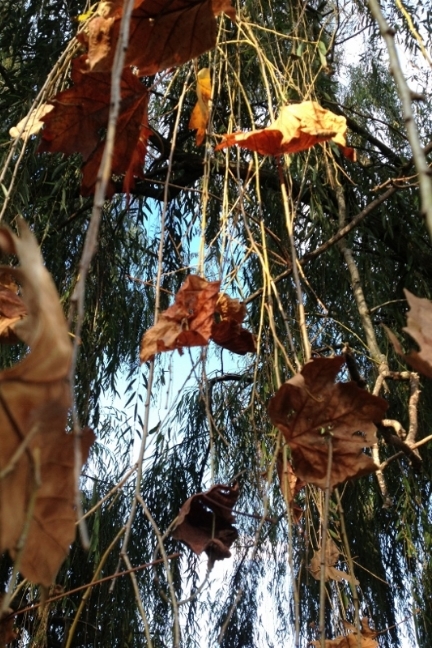 Lifting leaves (willow branch), 2013 was inspired after going on an odd bike ride Heldon and Raffan took through a park in 2013. The day was described as amazingly windy and the weather uncertain, changing from sunshine to storm clouds within the space of minutes. 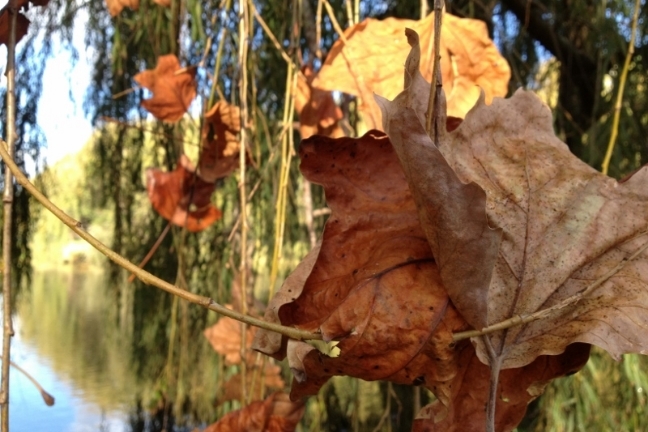 The two were taking photos in the park of flying leaves and dancing grasses, when they came across a large dead willow branch near a man made pond. 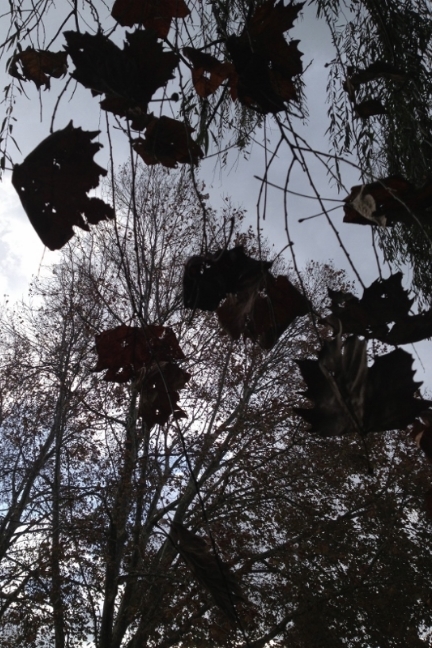 Underneath the precariously hanging branch lay piles and piles of dead maple leaves. 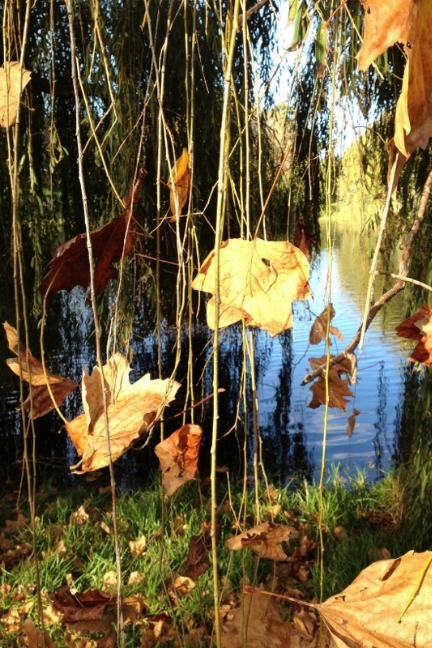 Through an intuitive process the two artists started collecting the leaves and 'sewing' them onto the dead tendrils of the willow branch attempting to reinvigorate the two parts. 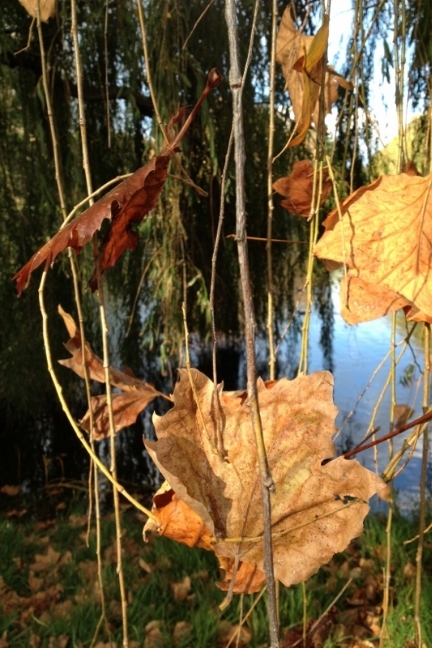 As the wind began to pick up parts of the branch with the leaves attached, Heldon and Raffan continued to sew in the leaves until they had approximately 50 leaves attached and floating with the tendrils of the willow branch. When the artists felt satisfied with the process they both lay down underneath the branch. Whilst laying underneath the branch they listen to the sound of the crackling leaves in the wind, the changing weather, the rain starting to fall and the odd swamp hen and coot squawking in the background. Recording the floating tendrils, Lifting leaves came about after numerous attempts were made to capture footage. 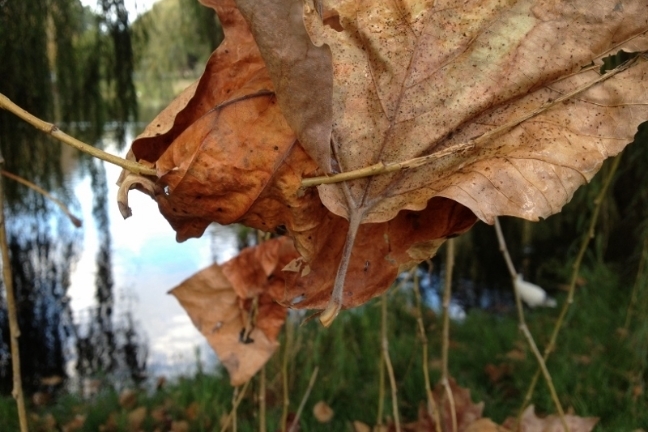 Finally, one clip was produced that displayed the wind slowly building up and carrying away the maple leaves, dying down and then magically, very slowly lifting the leaves ever so slightly as though they are being coerced by an invisible string.